CLR: skip strander with bows, for production of strands 1+6 and 1+7. 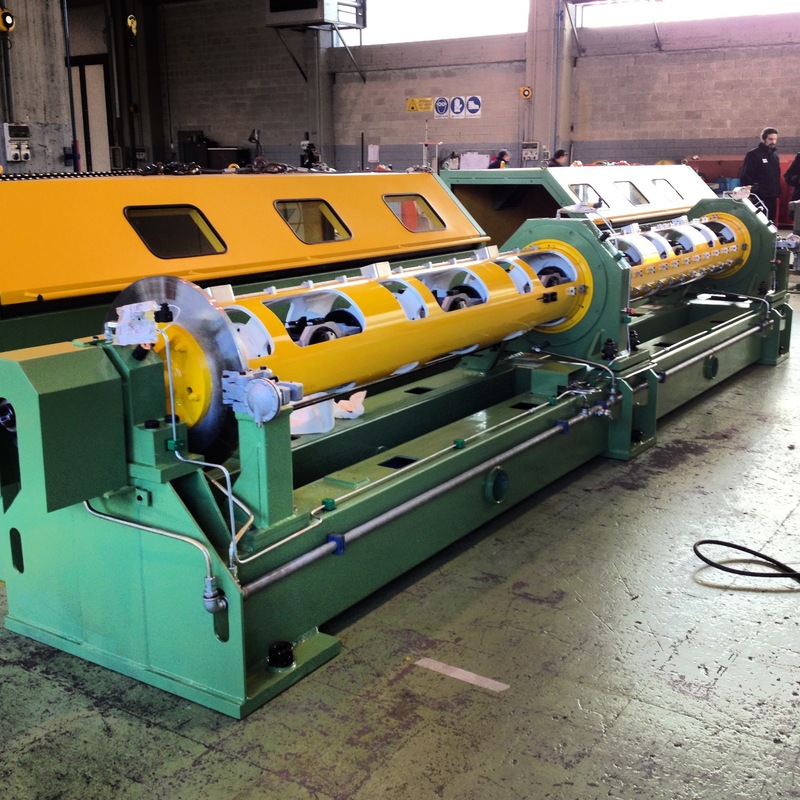 Pay-off spools can be used on these machines correspond to DIN standards, with possible variation at the request of the customer, and range from 400 to 1250 mm flange diameter. 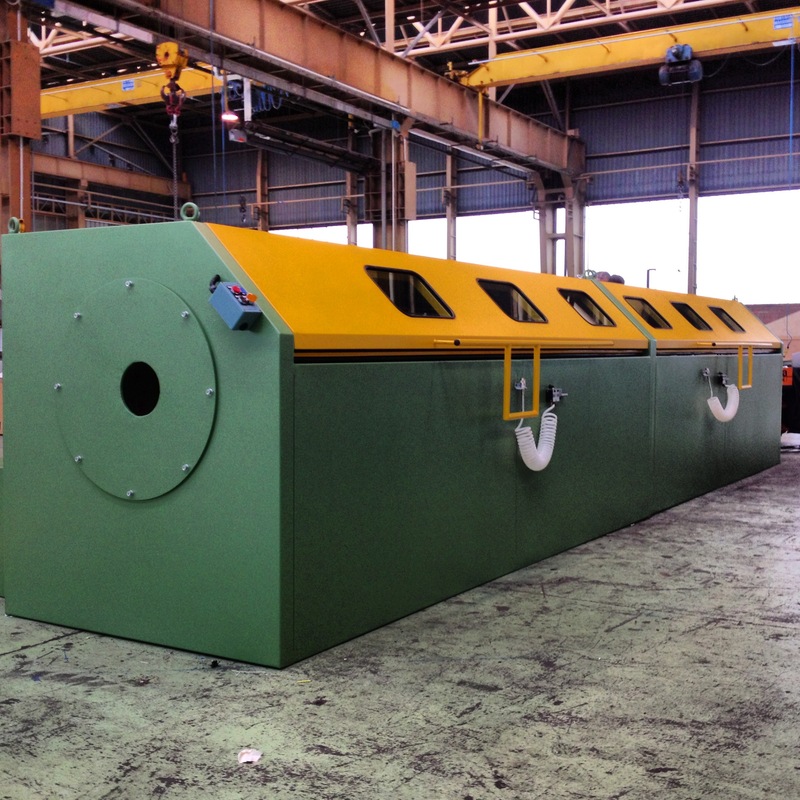 The take-up spools can be of metal, plastic or wood in a vast range from 630 mm to 2800 mm flange diameter. CLR skip stranders are also integral part of lines for the production of stabilized strands for use in the prestressed concrete (P.C. Strand). In this case, the filament spools range from 900 to 1250 mm flange diameter. 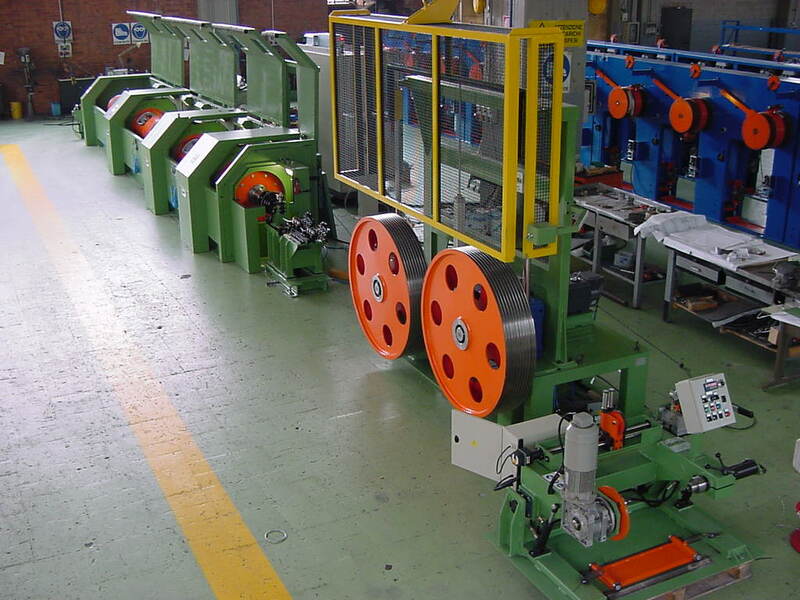 CTR: tubular stranding, cabling machines with a rotating tube, for the production of strands and ropes of every type. The number of spools depends on the requirements of the users and can vary from 6 to 48. 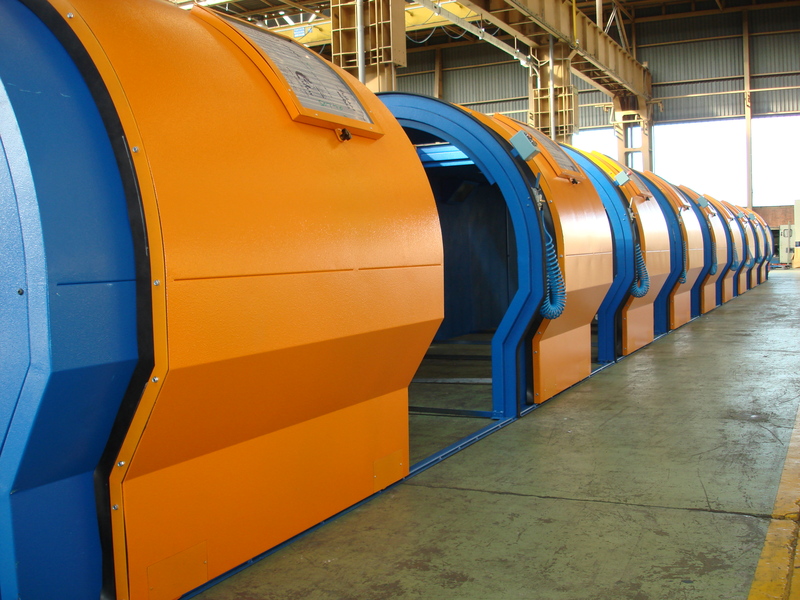 The pay-off wire and strand spools used on these machines correspond to DIN standard, with variations at the request of the customer, and range from 250 to 630 mm flange diameter. 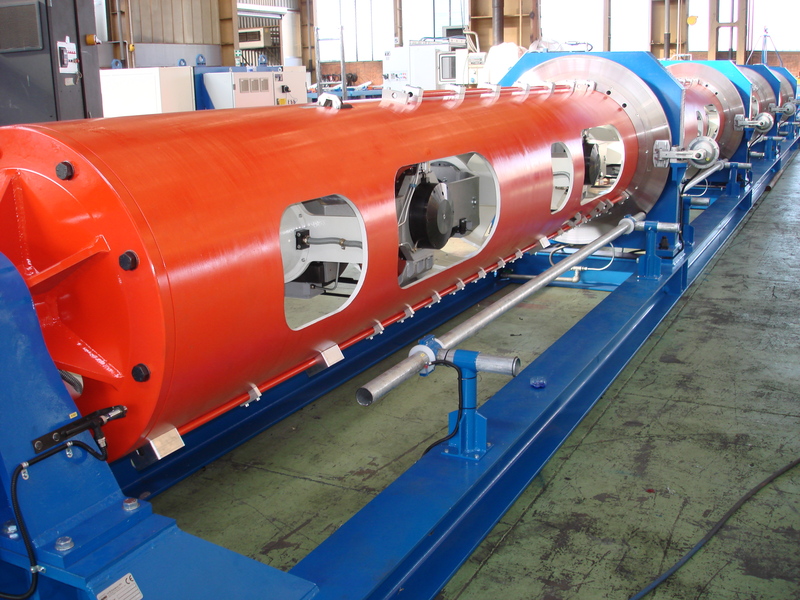 The take-up spools can be made of metal, plastic or wood in a vast range from 630 mm to 2800 mm flange diameter. Special versions are available for use with a very large diameter core spool with a skip type cradle and an adjustment mechanism of the cradle to untwist the core strand. 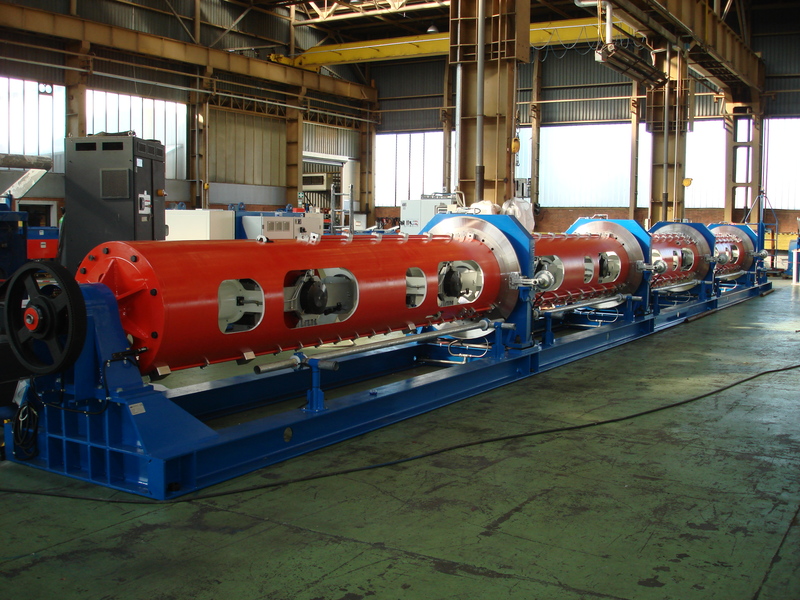 SKIP and TUBULAR machines can be supplied with a wide choice of haul-off capstans groups, including capstans with the capacity of stretching and/or compacting the product. All the machines are driven A.C. motors supplied by vectorial frequency inverters, with digital synchronizations of the various motors installed. PLC or microprocessors for management of the functions and visualization of the operating parameters are an integral part of the electrical/electronic equipment.